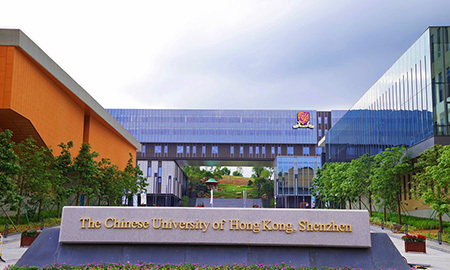 The IMA and the Chinese University of Hong Kong, Shenzhen (CUHK-SZ) are pleased to announce their newly established partnership. The initial two-year project will include shared postdoctoral fellows and jointly organized scientific programs. The project is part of a greater partnership agreement with the University of Minnesota in which students and faculty will be able to take classes, do research, and participate in student exchanges. Research will focus on a number of topics like renewable resources, clean water, and equity in communities. The joint postdoctoral position is for mathematical scientists within four years of their Ph.D. degree. The position will be particularly attractive to candidates with a strong interest in and inclination for applications. Each institution will match the postdoc to a mentor with complementing scientific interests. Potential mentors at CUHK (SZ) can be found in either the Institute for Data and Decision Analytics (iDDA), or the School of Science and Engineering (SSE). At the IMA, potential mentors may be faculty in the School of Mathematics or in a related department in the College of Science and Engineering. In addition to pursuing independent research under the mentorship of senior researchers, fellows will participate in institute activities, interact with visitors, and attend professional development training sessions. The positions are two-years in length beginning on September 1, 2019 with one year spent at the IMA and one year at CUHK-SZ (the order of residency will be determined on an individual basis). The first jointly organized workshop, the 2018 International Workshop on Mathematical Issues in Information Sciences (MIIS), will take place December 20-22, 2018 in Hong Kong. IMA Participating Institutions are eligible to use their PI travel funds to send faculty and students.